Every year, the 30 Major League Baseball franchises send representatives to a TV studio in New Jersey and call the names of some 1,200 amateur baseball players. While the MLB draft lacks the pomp and circumstance and, uh, sartorial creativity that its NBA and NFL brethren possess, it nonetheless plays a foundational role in the course the sport will take in the coming years. It’s also somewhat more complicated than other drafts. Baseball teams can’t trade picks outside of the Competitive Balance Round, which is a concept that’s truly not worth the time it takes to explain and understand. What’s more, MLB signing bonuses aren’t fixed the way NBA and NFL bonuses are, though each baseball team has a finite amount of money to distribute however it chooses across the first 10 rounds. It’s a needlessly complicated system that keeps pay down for young players and is therefore the most MLB thing ever. Really, the MLB draft is a lot like Bonnaroo: It takes several days to complete, features a lot of people you’ve never heard of, and elicits strong opinions from people who possess an annoying amount of esoteric information. And if you’re not prepared, you could wind up alone, muddy, and disoriented in a field. In the interest of avoiding that, here are five things you should know if you’re planning to watch or follow the first round, which begins tonight at 7 p.m. ET on MLB Network. The draft concludes on June 7. Peruse the various mock drafts, and the guy you’ll most frequently see at no. 1 is Brady Aiken, a left-handed pitcher out of Cathedral Catholic High in San Diego. Aiken was considered a first-rounder before his senior season, but he shot up the boards after his fastball velocity jumped from around 90 mph to around 93. The other day, Baseball America’s Clint Longenecker noted a similarity between Aiken and an 18-year-old Clayton Kershaw. While that certainly represents a best-case scenario for Aiken, he’s an enticing prospect no matter what, to be sure. The thing is, the Astros have perhaps the league’s most secretive front office when it comes to draft strategy, and they also have a history of ordering off the menu high in the draft in an effort to gain some flexibility with their bonus pool. So, who knows what they’ll do. Aside from Aiken, the other likely possibilities are Alex Jackson, another San Diego–area high schooler, and NC State lefty Carlos Rodon. Jackson is a power-hitting catcher whose bat may already be polished enough to pull him through the minors before he can develop defensively as a catcher, thus necessitating a move to an outfield corner. He’s not as good a prospect as Bryce Harper, because nobody is, but it’s a similar story. Meanwhile, a year ago Rodon was the presumptive no. 1 overall pick, a big, beefy, durable pitcher coming off a run to the College World Series. A disappointing year for the junior Rodon in particular and the Wolfpack in general, as well as a worryingly heavy workload under coach Elliott Avent, knocked him off the top of most boards. That doesn’t necessarily mean Rodon is out of the top-pick mix: We saw something very similar three years ago with Gerrit Cole, and he wound up going no. 1 overall anyway and turned out OK. So, who knows? If Aiken goes no. 1, the Marlins might hold their nose, swallow Rodon’s bonus demands, and take the charismatic Cuban American with the second pick, securing a running buddy for Jose Fernandez about 18 months from now. This draft is extremely pitcher-heavy at the top, with Aiken, Rodon, and Texas righty Tyler Kolek, a 6-foot-5, 230-pound, 18-year-old who can hit 101 mph when he wants to and will surely play The Mountain whenever Game of Thrones recasts the role. Aiken and Rodon will almost certainly both be off the board in the first three picks, while Kolek and the top two high school position players, Jackson and Nick Gordon, probably won’t make it past the Mariners at no. 6. The Cubs, however, might opt for a higher-probability college player, and which one they pick could determine draft strategy for the next 20 picks in the first round. Among college pitchers, Rodon is a step above LSU righty Aaron Nola, who’s a high-floor control artist, and Nola is a step above a third tier that includes Tyler Beede, Kyle Freeland, Sean Newcomb, and a handful of others who could go in any order from no. 7 to no. 37. The Phillies, who have that no. 7 pick, have been standing outside Nola’s dorm with a boom box, but if the Cubs take him at no. 4, that’ll throw off Philadelphia’s schwerve. Chicago could also take Oregon State outfielder Michael Conforto or Kennesaw State catcher Max Pentecost. There are teams in the teens hoping for Pentecost to fall, but if he goes 10 picks too early, the middle of the first round could turn into the panic scene from Airplane! First of all, most of the best players in this draft are pitchers — for no reason other than that’s how things shape up sometimes. Second, injury epidemic or no, teams still need arms to contend. That said, this class does have its share of pitchers, particularly college pitchers, with red flags: There’s Rodon’s workload, Brandon Finnegan’s balky shoulder, and Jeff Hoffman and Erick Fedde actually having already blown out their elbows this season. That said, the flip side to more pitchers needing Tommy John surgery is that a greater percentage are coming back healthy, so teams are pricing in that risk when it’s time to draft. We might not see him this season, but I’d be surprised if Nola took as long as 12 months to reach the majors. Every draft also has a couple polished college relievers who could help a major league team after only a handful of minor league innings, and this year is no exception. Louisville closer Nick Burdi is the hardest-throwing pitcher in the draft apart from Kolek, and as long as teams are confident that his abhorrent performance in last weekend’s regional was an anomaly, he could go in the mid-to-late first round to a team in need of bullpen help in the near future. 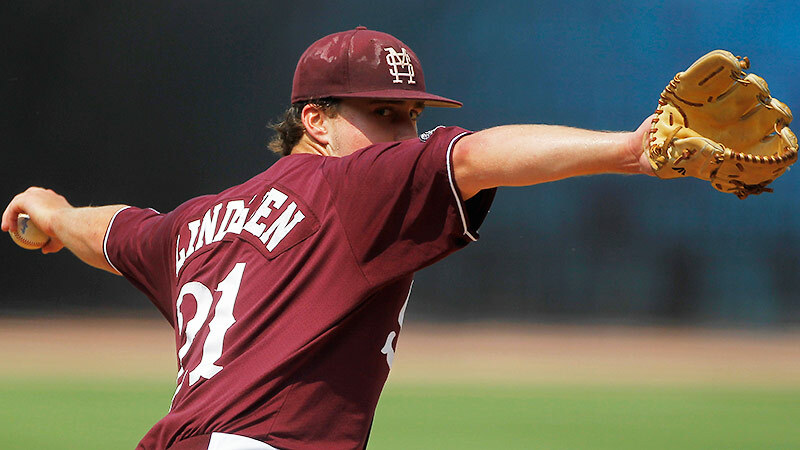 Another potential fast-riser is Mississippi State reliever Jacob Lindgren, a potential second-rounder who throws from a low slot on the left side and already has a devastating slider. His role and repertoire limit his ceiling, but I bet he’d do OK against most major league lefties right now. There’s something to be said for reaching for a high-probability player, but nobody’s safe. The Mariners drafted Virginia lefty Danny Hultzen no. 2 overall in 2011 because he was a safer pick than Trevor Bauer, Dylan Bundy, Archie Bradley, Sonny Gray, Jose Fernandez, and so on, and thanks to injuries, there’s a decent chance Hultzen might never pitch in the majors. The draft giveth, and the draft can also get front-office people fired. There are two pitchers I personally like a lot who could flame out spectacularly: Florida high school righty Touki Toussaint and Vanderbilt righty Beede. In addition to having an awesome name, Toussaint has electrifying stuff and dominated showcase ball, but he has trouble with his command. High schoolers who have electric stuff and command issues fall into three categories: guys who fix it and turn into front-end starters; guys who kind of fix it and end up being frustrating relief pitchers; and guys who don’t fix it and never make it past Double-A. Nobody knows which one Toussaint will be, which might be why he’s so heavily linked to the Blue Jays, who have two picks in the top 11. 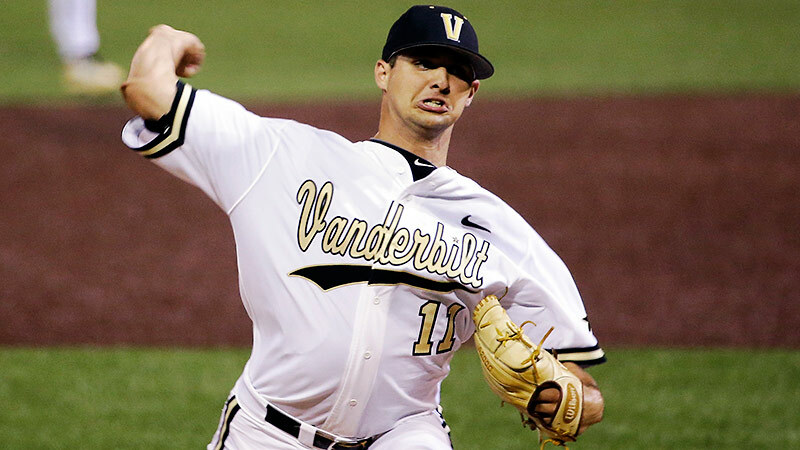 If Toussaint doesn’t sign with Toronto, he’ll go to Vanderbilt in the fall, where he’ll replace Beede, who didn’t sign with Toronto after being picked in the first round in 2011. At his best, Beede’s got the track record and talent to hang with Nola and Rodon, but he’s been entirely inconsistent this season: He struck out 14 in eight shutout innings last Friday against Xavier, but allowed 11 runs in 2.2 innings against Ole Miss in March. He’s hot and cold. Then there are the enticing high school position players who run like sprinters, throw like major league closers, and hit for power like they’re playing slow-pitch softball, and nobody figures out they can’t actually play baseball very well until they get into a professional camp. These names litter first-round draft history like elephant skeletons: Anthony Hewitt, Donavan Tate, Bubba Starling. This year, Michael Gettys of Gainesville, Georgia, and Jacob Gatewood of Clovis, California, could both go in the late first round. And either one could wind up on the All-Star team, or on a list of busts who got drafted before perennial All-Stars.